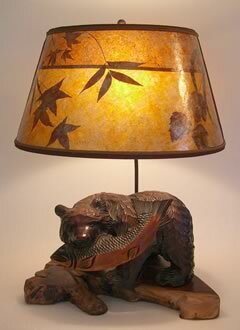 Ainu antique carved bear with fish rustic lamp and round mica lamp shade. 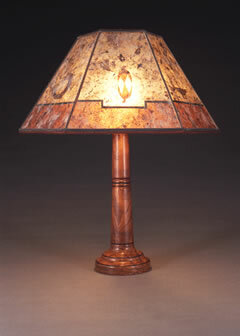 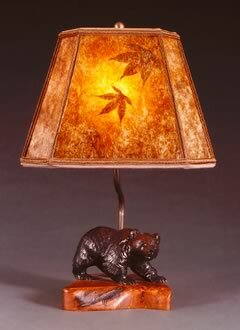 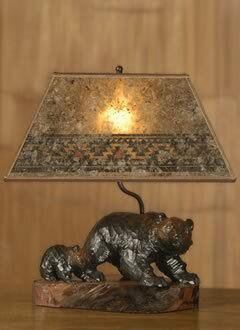 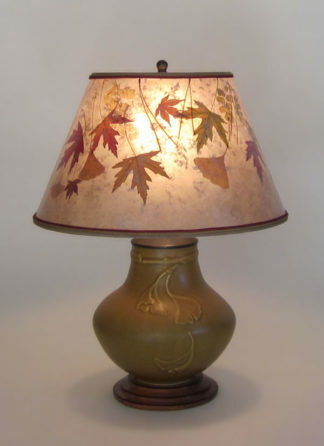 Antique carved bear lamp with fish, contact us for information about currently available bears. 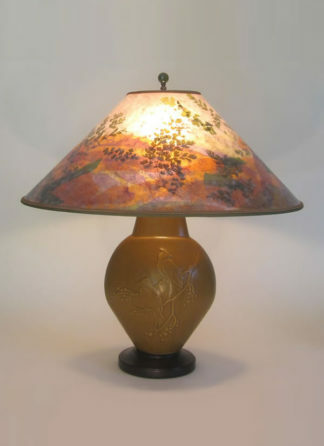 Cedar Waxwings Bird Lamp & Colorful Mica Lampshade, "Morning Meadow"